The event website and poster were made thanks to Kiae Seong and Yujin Kim’s help. 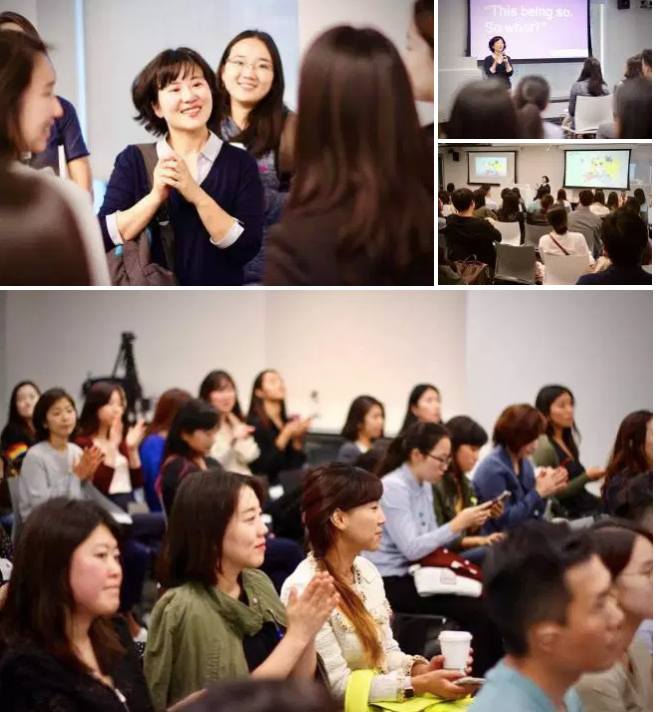 With the support of our super mentor for-life, Keeyoung Han and Sujin Kim, we found sponsors who support Simple Steps’ mission and the development of the community for women, as well as panelists who were all very capable and could be keynote speakers in any other event. Just 44 hours before the event, we were notified that the venue was under construction and could not be used for the event. We desperately reached out for help to Eunyoung Kim, EJ Jung, and Hyungseok Dino Ha, who miraculously found a venue for a 100 people in downtown San Francisco, for an event that was scheduled to start in just 36 hours. You guys are amazing. 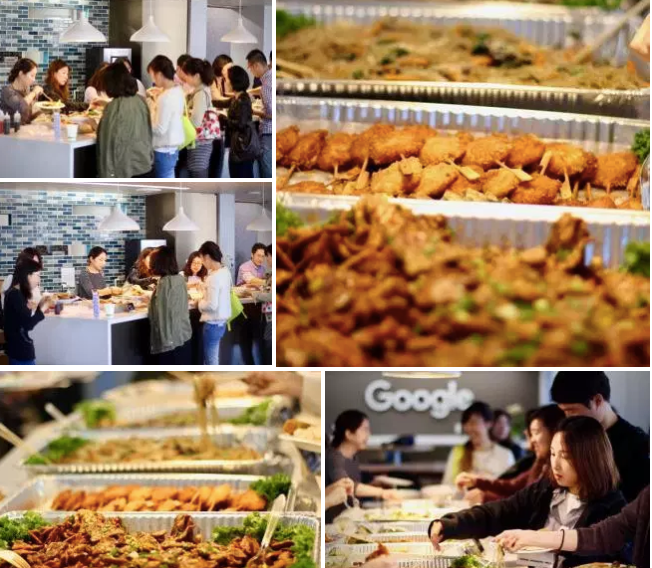 In the end, Time to Shine was held on the 7th floor of the Google office in San Francisco. It had a breathtaking view of the Bay Bridge, a spacious lounge and kitchen, and meeting rooms with the latest technologies. Losing the original venue turned out to be a blessing in disguise. There were also lots of other people who worked behind the scenes to make this event successful. In the morning, a workshop on accent improvement was held for two hours with 30 participants. The workshop provided tips for non-native English speakers as well as a chance to practice what they learned with a partner. The participants found the workshop to be generally helpful in finding out what they were lacking, but many participants would have preferred a smaller and more intensive lesson. The keynote session started at 2 pm, led by the CEO of Enuma, Sooinn Lee. She shared her heartfelt insight as a female startup founder with an immigrant background, the hardships and the answers she found throughout her career. It was a talk that provided us with deep insight that can only be heard during Time to Shine. I think everyone was touched by Sooinn’s genuine talk and towards the end, a lot of people were asking questions and sharing their own stories as well. After the coffee break, the three-panel sessions on Bio, Freelancing and Product Management were held simultaneously. We got a lot of feedback that it was full of funny and relatable anecdotes that are hard to come by elsewhere. Some people also commented that they would have wanted to participate in more than one-panel session. People also expressed their interest in panel sessions on different careers including engineering, marketing, and business development, as well as workshops on resume writing and preparing for interviews. We will be sure to take these into account when organizing future events. Time flew by so quickly in the previous sessions that towards the end, there was not enough time for the networking session. We will be sure to have plenty of time for networking at future events. We would like to thank our generous sponsors: Memebox, CMB, Good Time, K Star Doshirak, LINE, Namu Accounting, YesPlz!, and Keeyoung Han. We would also like to express our thanks to the speakers for Time to Shine: Sooinn Lee, Bonu Ghosh, Alissa Heesang Ju, Koeun Eom, Sunyoung Rachel Kum, Jiwon Hong, Jin Hyung Lee, Peter Hyunseok Kang, Seung-Yun Yoo, Kwang-Ai Won, Kyungle Han, Soyoung Chung, Soyoung Youck, and Doyeon Kim. Lastly, we thank the volunteers who worked so hard for the event: Young Eun Chae, Lawrence Chung, DongHo Jeon, Eunyoung Kim, Veronica Jeong Yeon Kim, June Y. Lee, Miseon Lee, Seong Jun Lee, Ki Sang Song, and Seo Yeon Youn.